Part 2 of a speech on the apprenticeship system, I gave to several ACT regional conferences in late 2004. Part 1 is here. Check out Peter Cresswell's excellent piece on apprenticeships at Not PC. Our totally inadequate apprentice training system also carries huge social costs. Teenage years have a huge impact on later life. It is then that good work habits, goal setting, teamwork and self responsibility are learned. Also, they are when criminal and anti social behavior, drug and alcohol abuse usually start. Young people often turn to negative behavior because they lack purpose and discipline. An apprenticeship provides purpose, discipline and hope for the future. Apprenticeships also expose teenagers to mature mentors and confidants who can help guide them through the tough years. Most young people will accept guidance more readily from their “master” than they will from Mum or Dad. If you’re a 17 year old whose got his girlfriend pregnant-where do you go for advice? Mum and Dad or one of your mentors from work? Many of our armies of fatherless young males would also hugely benefit from contact with older male tradesmen. Even the traditional low wages paid to apprentices have a social benefit. Junior apprentices have to budget every cent, the value of money is learned early. Young apprentices almost always have live at home, in hostels or in private board. This means more adult supervision for longer and consequently less likelihood of a young person running off the rails. New Zealand is rapidly developing a welfare dependent underclass, comprising largely of Maoris and Pacific Islanders. Once Christchurch was host to hundreds of young maori apprentices who lived in marae based hostels. Those former “hostel boys” are now, mostly self employed or highly paid tradesmen. They are part of the maori “middle class”. Those hostels were closed some years ago. Those boy’s younger brothers and sisters aren’t becoming carpenters, diesel mechanics or hairdressers any more. Many are on the dole, working as labourers or doing “hip hop” or or basket weaving courses on student loans. Expanding the apprenticeship system would give hope to thousands of disadvantaged young people. It would whittle away at the underclass and give poorer people a clear road to a better standard of living. It would help bring the underclass back into the mainstream. Rebuilding the apprenticeship system would even breathe new life into dying rural communities. Young people could learn a trade in their own community and then start their own local businesses to train the next generation. Apprenticeship is a rite of passage. It eases the transition from child to adult in a very practical manner. A strong apprenticeship system would do more to lower drug abuse, juvenile crime and youth suicide than any number of social workers, policemen or boxing politicians. Apprenticeship, formal or informal is a key component of building a stable, free, society. By providing a way for older people to pass on experience it helps bind the generations. 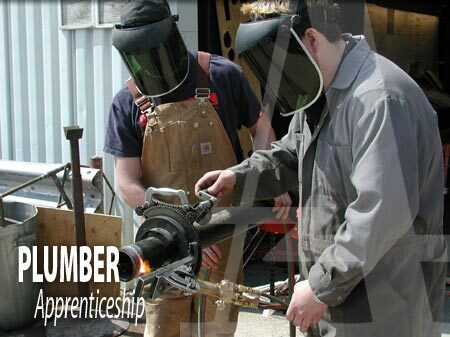 Apprenticeships are excellent for teaching respect in younger people and humility in their elders. Apprenticeships are the ultimate win-win. They are good for the individual apprentice, they are good for the employer, they’re good for the economy and they’re good for our society. To get people employing apprentices in large numbers, I believe we must do several things; all of them taxpayer friendly! Firstly we must sideline the “unit standards” system which is probably the main disincentive to employing apprentices. The “Unit Standards” system attempts to train by dividing trades into numerous physical skills which must be mastered. This produces apprentices who are basically trained monkeys. They can do a series of tasks on command but may not necessarily understand why they are doing them. Learning should be an organic process. Principles should be learned, then applied in practical reality to produce understanding. A good tradesman instills in his apprentice the principles of the trade, whether it is how yeast works in baking, how paint flows or how to bone out a cattle beast. By understanding basic principles, the apprentice can apply his or her skills to varied situations. They can learn to integrate skills, to problem solve and become real masters of their art. The “Unit Standards” system, is an extremely clumsy and primitive approach to learning. All New Zealand’s universities have rejected the systemit and few if any other countries have adopted this idiotic approach. To get an idea of how useful “unit standards” are-apply them to Rugby. Imagine if rugby coaches were required to award “unit standards” to all players. Passing the ball-tick, hooking the ball-tick, jumping in the line-out-tick, taking a dropped goal-tick, tossing the coin-tick, having a conversation with your coach’s mother-tick, having a tidy uniform-tick, putting in your mouth guard-tick, back chatting the ref-tick. This would make life so much simpler for selectors. They wouldn’t have to worry about watching players play, examine track records, how they react under pressure etc. It would be simple. You would pick the All Blacks on the basis of who had the biggest number of the appropriate “unit Standards”. We would know that we had the best team available because he would have a “record of learning” to prove it. Abolishing “Unit Standards” would immediately eliminate the need for assessors. Currently large firms must train an on site assessor to mark off their apprentices “progress” Smaller firms must do this job themselves or pay an outside assessor $40 or more an hour to do it for them. Trained teachers are getting bogged down with “unit standards” in our High schools. How is a one man band paperhanger mean’t to cope? Small wonder that very few small companies now employ apprentices.